The assests and goodwill of Bristol Cars have been acquired by Kamkorp Autokraft, part of the Frazer-Nash group, from its administrators. This acquisition re-establishes a connection between Frazer-Nash and Bristol Cars dating back to the foundation of the luxury carmaker 65 years ago. 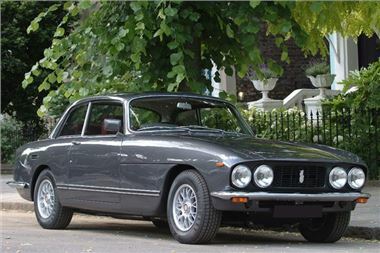 William Chia, the group’s Director of Operations, said: “Bristol Cars is a British institution and an important part of our national motoring heritage. Over the next few months we will start to reveal the details of our plans to combine Bristol Cars’ tradition and iconic marque with Frazer-Nash’s pioneering technology to showcase our cutting-edge electric and range-extended powertrains. British engineers are globally recognised for their inventions and the quality of their innovation – and these attributes are inherent in all our systems and products. Mindful of Bristol Cars’ rich heritage and our responsibility as custodians of the brand, we are certain that our technology will blend seamlessly and successfully with the Bristol Cars tradition of engineering integrity. Owners and enthusiasts of the cars should be assured that, even though these are early days in our tenure of the brand, we are committed to providing them and their cars with the highest levels of quality, technology and service”.